February's perfect attendance winner will be announced in March once all of February has concluded. 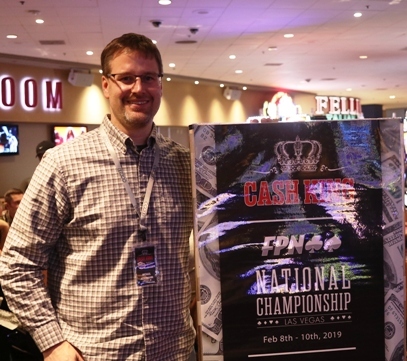 On an unseasonable cold day in Las Vegas FPN players from all over the country packed into the Golden Nugget poker room for their shot at becoming the next FPN National Champions and winning the coveted $10,000 poker package. Altogether a total of 123 people played. With the tournament starting at 10am local time spirits were high and everyone was having a lot of fun. Samantha Chase from Fargo, ND took all the pressure off everyone by being the first player eliminated. For being first out Samantha received a fresh crisp $100 bill. An hour into the tournament Debbi Edwards from Illinois stood up and made the announcement she won her first hand of the tournament. 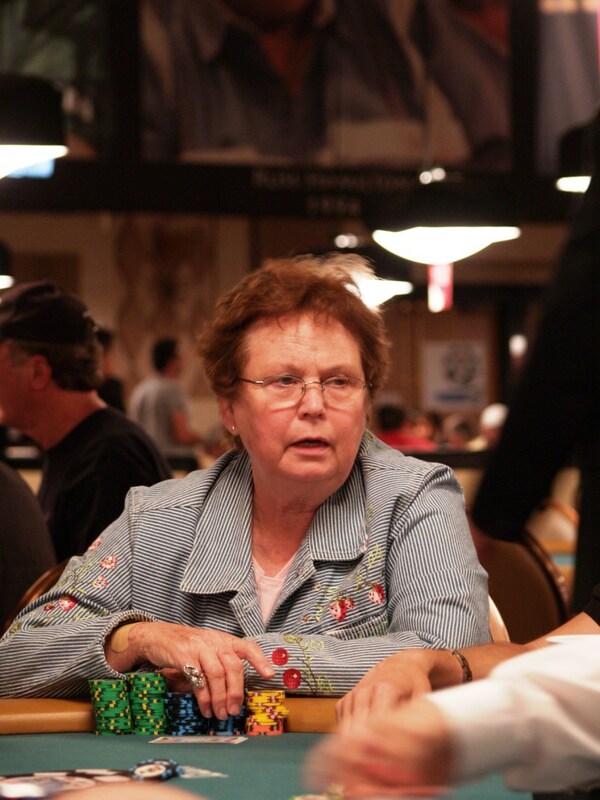 Players in the poker room had a good laugh and applauded Debbi for her first win. Poster boy and national champ Jimmy Miles from Rochester, MN has qualified and will defend his title! 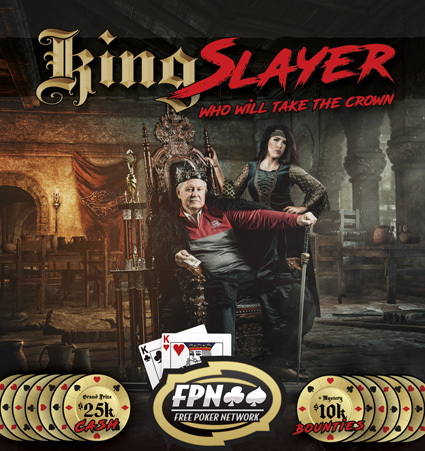 Nearly 150 players have qualified for a shot at winning the $10,000 Poker Package which includes $2,000 cash, $5,000 worth of tournament buyins, as well as air/hotel, limo, dinner, and show tickets! Who will win?? 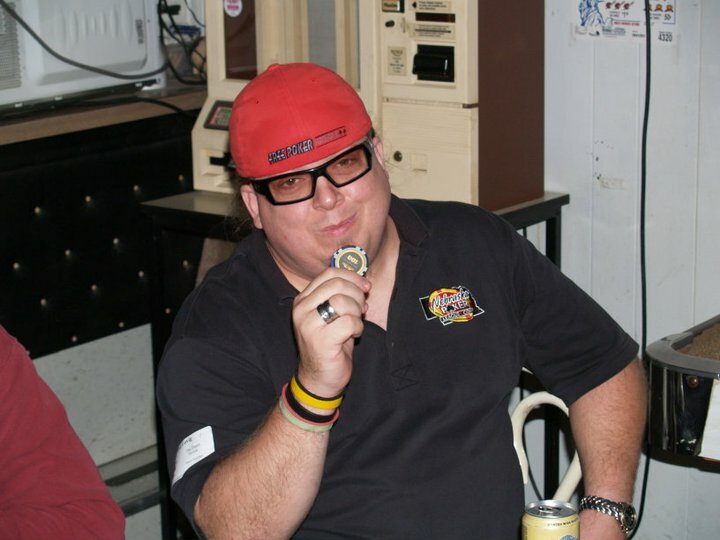 The field is chock full of great players and former champs, including the original league champion Derek Melicher (pictured, 2005) who famously busted to Phil Ivey. 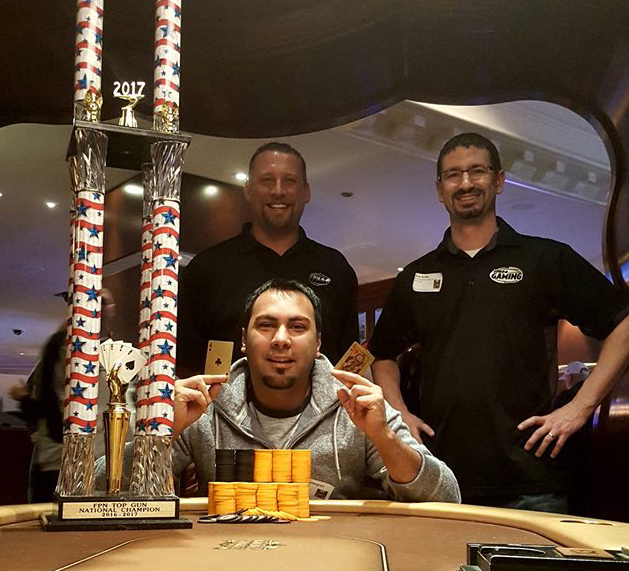 Derek went on to a career in poker world which has included business management of the Heartland Poker Tour and recently America's Poker Tour. We look forward to reuniting with Derek! Altogether there are a total of 156 qualifiers from 16 different states flying into Vegas for their shot at winning big. 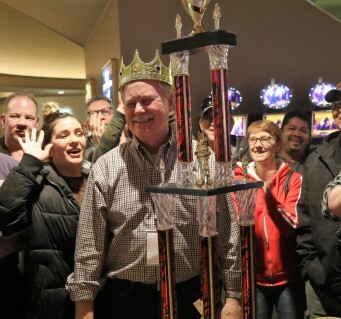 We expect about 100 or so players to hit the tables at 10am Vegas time on January 28th. Of those 156, 13 of them were lucky enough to get double stacked qualifying multiple ways to Nationals. However, the odds on favorite at the very beginning of the tournament will be Dave Johnson from Illinois as he is the only triple stack. Dave qualified at the IL State Championship and took down two Super TOC’s.